In applications that demand extreme channel density, the 5 Series MSO Low Profile oscilloscope sets a new standard for performance. 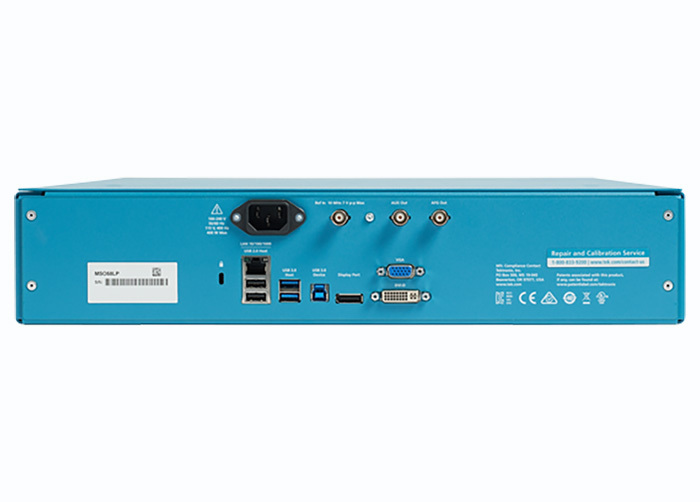 With 12-bit analog-to-digital converters, this high speed digitizer offers 8 input channels (plus AUX Trig) in a compact package, only 3.5 inches high (2U). 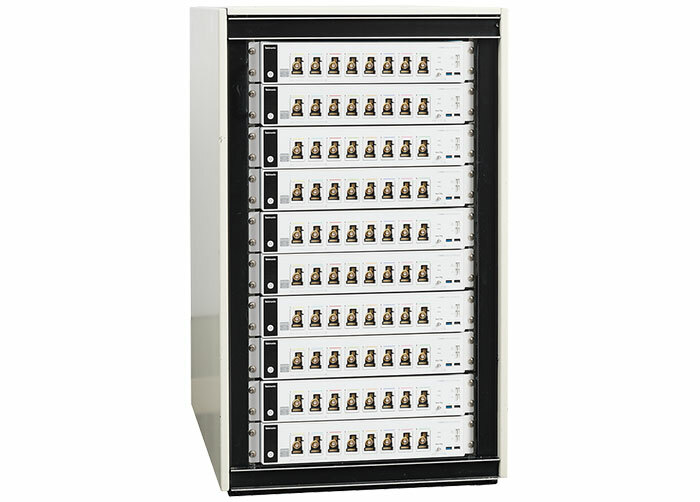 Replace your oscilloscopes and fit 6x more channels into your existing rack space. The 5 Series MSO LP offers 8 channels, plus an auxiliary trigger input, in a space-saving 2U instrument -- at a low cost-per-channel. 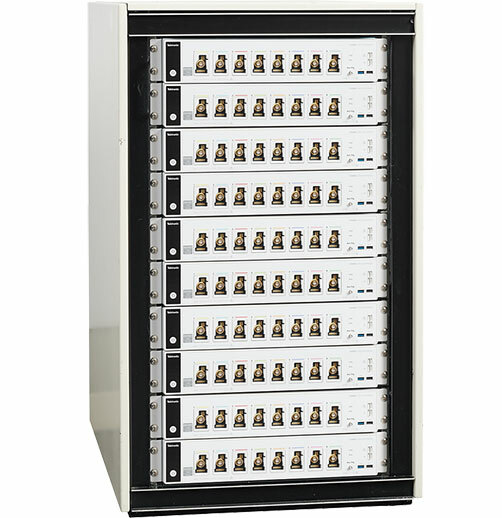 Each the 8 FlexChannel™ inputs can be used as 1 analog channel or 8 digital channels. 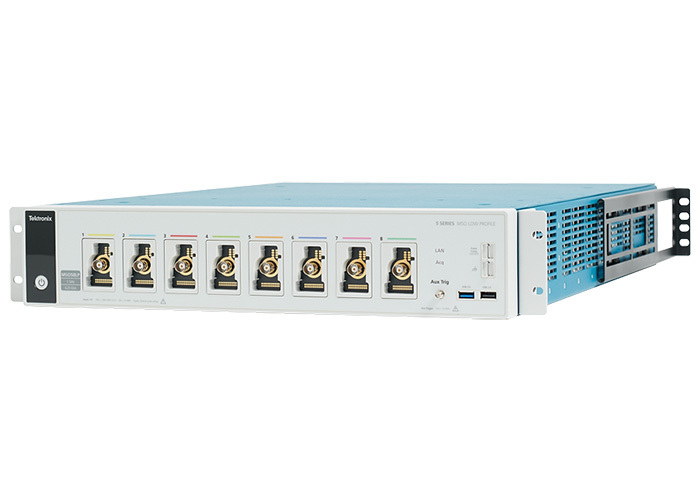 With 1 GHz analog bandwidth, 6.25 GS/s sample rate on all channels, and 125 M record length, the 5 Series MSO Low Profile has the performance you need to capture accurate waveform data with the best possible signal integrity. 12-bit analog-to-digital converters provide 16 times the vertical resolution of traditional 8-bit ADCs. Measure small signal details, even if they are riding on large signals. Eliminate work by using exactly the same software and test routines in production that you developed during design. Use the benchtop 5 Series MSO with its 15.6-inch HD display and pinch-swipe-zoom touchscreen for design validation. Then run exactly the same tests using the compact low-profile version in manufacturing. 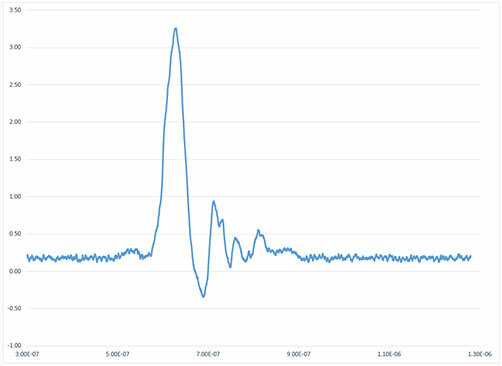 Pulsed power measurement applications capture fleeting events that represent the world of particle physics, and require the acquisition of many signals with high dynamic range in challenging physical environments. 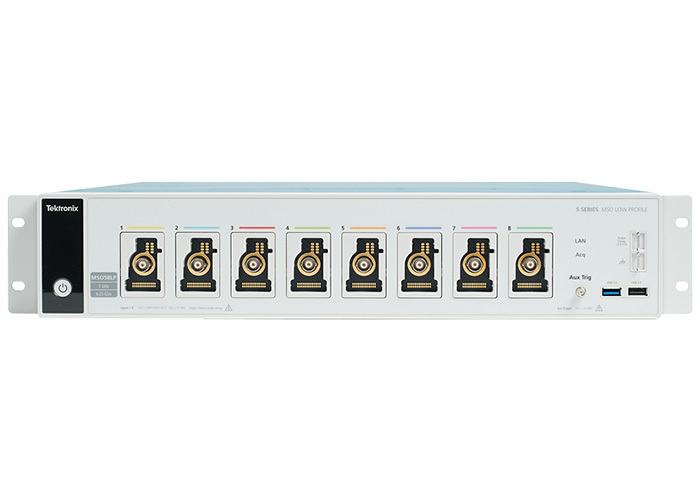 The 5 Series MSO Low Profile provides more than 6X the channel density of a traditional bench oscilloscope with industry-leading performance enabling confident collection of accurate test data. Automated test systems require robust programming capability and are often subject to rack-space constraints. The 5 Series MSO Low Profile oscilloscope packs 8 inputs into just 2 rack units and it comes ready to mount. Each input can work as a precision analog channel or 8 digital channels. And you can develop tests on the 5 Series MSO with it's 15.6-inch display for design validation and use the same programming on the Low Profile version for production.